Warsash Maritime Academy (WMA) has provided first class education, training, consultancy and research services to the international shipping, commercial yacht, offshore oil and gas, and renewables industries for nearly 70 years. Western Bulk Chartering is a leading dry bulk shipping company, operating on average more than 150 ships in 2015. We strive to deliver the highest standard of service through persistent focus on quality, safety, flexibility, and reliability. 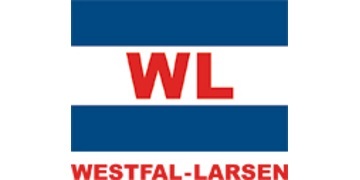 The Westfal-Larsen companies are engaged in international marine transportation services. World Fuel Services is a global leader in the downstream marketing and financing of aviation, marine, and ground transportation fuel products and related services. WRS Tech is an independent Technical Recruitment Consultancy who resource, recruit and retain technical professionals in the Marine, Oil and Gas, and Shipping markets. Yara delivers profitable and responsible solutions for agriculture and the environment. Zakher Marine International Inc. (ZMI) provides services to the Offshore Oil and Gas Industries and Offshore Marine Construction Companies.